Im gay, can I reach heaven? A warm welcome to CC and so glad you found us! You came to the right place to receive Biblical answers and I pray you let the Holy Spirit speak to you. God bless! I smell a troll. Joined and asked this then immediately logged off. If you tell Jesus that you are sorry for all the sins you have committed then Jesus has paid the penalty for your sins by dying on the cross. Invite the Holy Spirit to live in your heart to comfort and guide you on your spiritual journey. This is called being born again and results in your salvation. If you have salvation you will go to heaven. Glad to have you onboard with us. Welcome to CC. Glad to have you onboard too. You will typically get more responses by creating your own introductory thread instead of posting your intro on a thread started by another member Regardless, looking forward to your posts. Welcome to CC. Hello Chamuco, welcome to CC. I hope you'll enjoy your stay here. Who saidest thou wast gay? Hello cjc2009123, welcome to CC. I hope you'll enjoy your stay here. 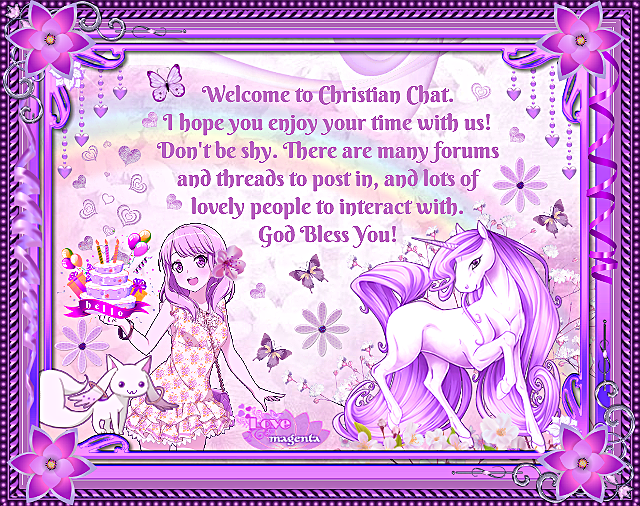 Welcome to CC, glad you are here, because Jesus see's your heart and whether you are trolling or not, God is the ultimate judge. If there is conviction in your heart, God will forgive you for He is merciful. If you believe Jesus and trust that the Atonement He secured on the cross forgives you of your sins then. Jesus will see to it that you are caught up on the day of the return of Jesus.. But note if you believe God you will acknowledge that the physical sexual act of homosexuality between two males is a sin.. If a person seeks to justify their sin they will not acknowledge it as sin to God and therefore will not be forgiven.. Only those people who Believe God ( His teachings ) without resistance will be forgiven all their transgressions against His will.. Welcome to CC! I believe that's up to God, not me, He knows your heart best. I also believe what the Bible says is true. It's our instruction book for life! Look up all your answers in the scriptures.